Grid Computing | The Daily Programmer '+g+"
Grid computing is a part of distributed computing. "A computational grid is a hardware and software infrastructure that provides dependable, consistent, pervasive and inexpensive access to high end computational capabilities" (Foster and Kosselman, 1998). It facilitates coordination of resource sharing and problem solving in dynamic multi-institutional VO. 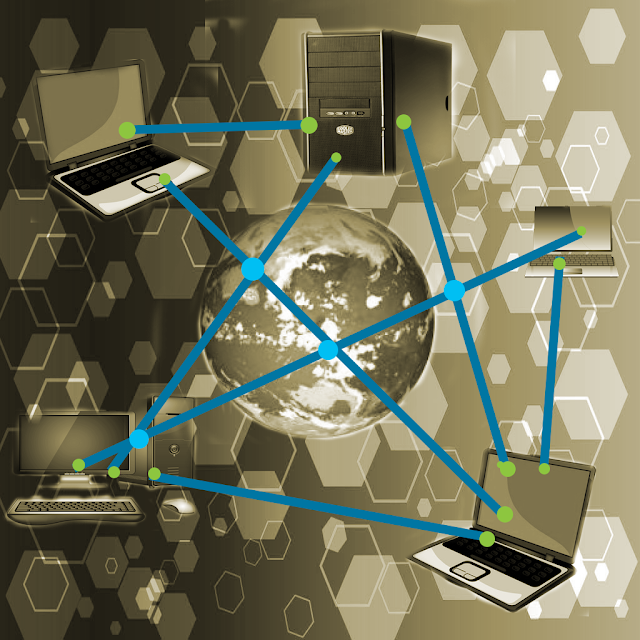 Grid computing is a technology that combines the processing powers of several computers to achieve computational goals. Set of individuals and institutions defined for the purpose of resource sharing among the group (of nodes - individuals/institutions) with definite rules such as who can share, who is allowed access and permission, etc. One institution can be a part of more than 1 VOs. An example, institutions in a VO share idle CPU cycles (to increase CPU utilization, and also overall processing power of grid) of other institutions in the same VO. Some real time examples of grid computing include SETI@home - search for extra-terrestrial intelligence which allows any individual or organization to download software and turn their computer into a part (node) of the grid, so that they can contribute to the processing capabilities, LHC Computing Grid which allows authorized organizations to be a part of the grid, Folding@home (FAH) - in modern molecular biophysics for studying protein folding and misfolding.